Join Eagle Rock NAVHDA – It’s a Great Deal! As a new member, you and your dog will benefit from the knowledge of experienced members. Get help training for hunting and tests. 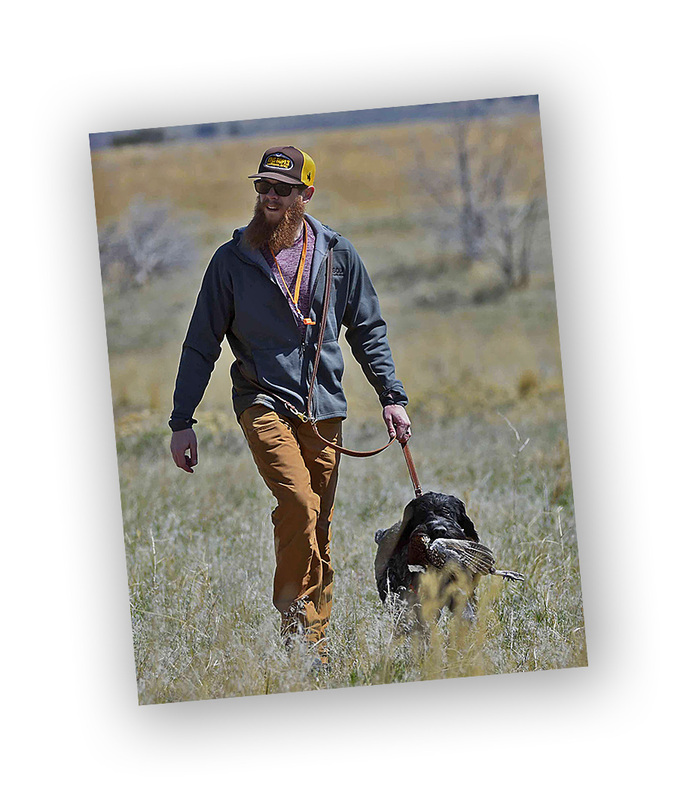 In Eagle Rock NAVHDA, members help each other, and you’ll be surrounded by a support network as you and your dog work to become an even better team in the field. Everyone in the chapter wants to see you and your dog succeed. And you might just gain some new hunting partners! Discounts to all paid club events and test entry fees. We will bring in professional speakers help teach the group new techniques, etc. Chapter T-shirt with a new member registration. Membership is for the calendar year – January 1 – December 31. Click here to go the chapter store for a new membership. Members who do not pay dues within 60 days of the due date will have their memberships terminated. They may reinstate by paying dues at any time, provided they have not otherwise disqualified themselves for membership. The Board of Directors may expel a member by majority vote for unsportsmanlike conduct with other members of Eagle Rock NAVHDA, conduct contrary to that of commonly accepted ethical standards for a sportsperson who respects and conserves the natural environment and obeys hunting and fishing regulations, and most particularly, for mistreatment of their own or another’s dog(s). Eagle Rock NAVHDA will not refund dues to any member expelled from the club for good cause and by majority vote of the Board of Directors. Any member expelled from Eagle Rock NAVHDA may petition the Board of Directors for reinstatement after a period of one year.